Feeling completely fed up trying various diets which promised the world but didn’t deliver, Yvonne vowed to try something different and gave The New You Plan a go. 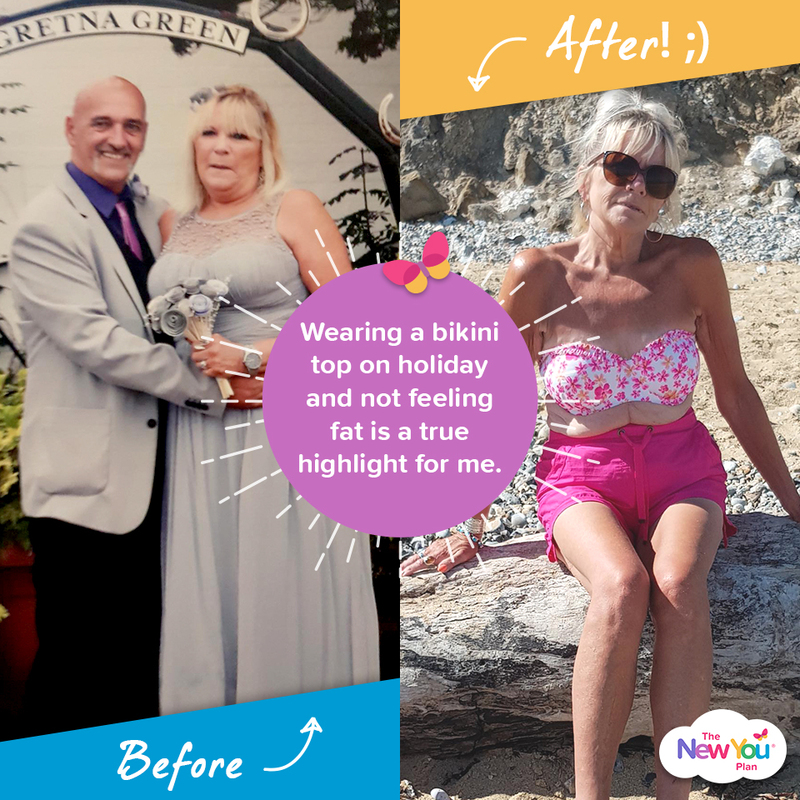 Here, she shares how she lost 3st 4lbs, dropped 3 dress sizes and feels fabulous in a bikini. 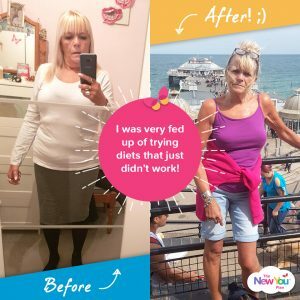 I have struggled with my weight for years and I was very fed up of trying diets that just didn’t work. 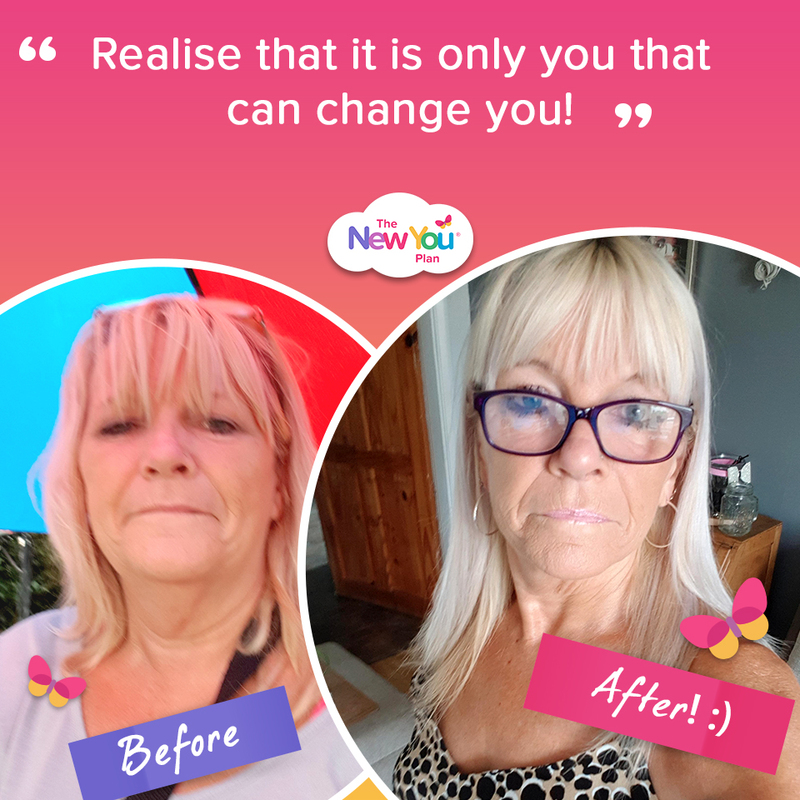 When I heard about New You I was very apprehensive but also excited that I had found a diet which give great results. Just check out the success stories section on the website! The before and after photos are so inspiring. My step daughter introduced it to me. 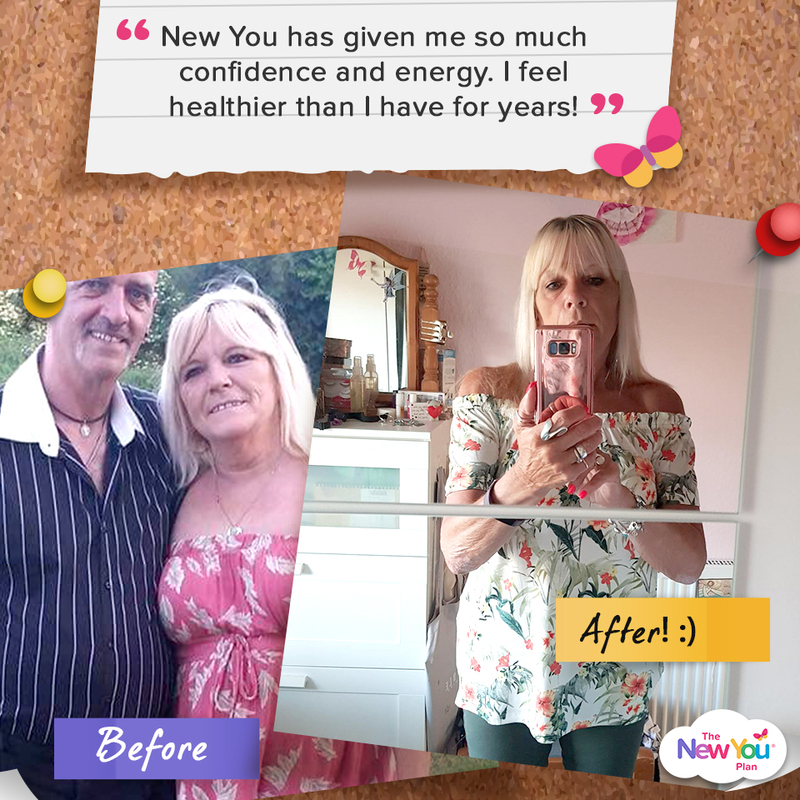 She had lost 1.5 stone on the plan and she knew I was struggling to loose weight. She raved about the meals and support and after seeing her great results, I vowed to give it a go. I had nothing to lose so I purchased my first bundle and haven’t looked back since. It has given me so much confidence and energy. I feel healthier than I have for years. My asthma is so much better and I have halved the amount of inhalers I use. This is a fantastic achievement and something I am delighted about. I love being thin!! I have bought a totally new wardrobe of clothes and actually enjoy shopping for clothes as everything fits and looks good now. Being able to wear shorts and a vest top during the summer is fabulous! I used to cover up in layers so this just feels so freeing. Visiting friends and seeing their reaction at how different I looked. 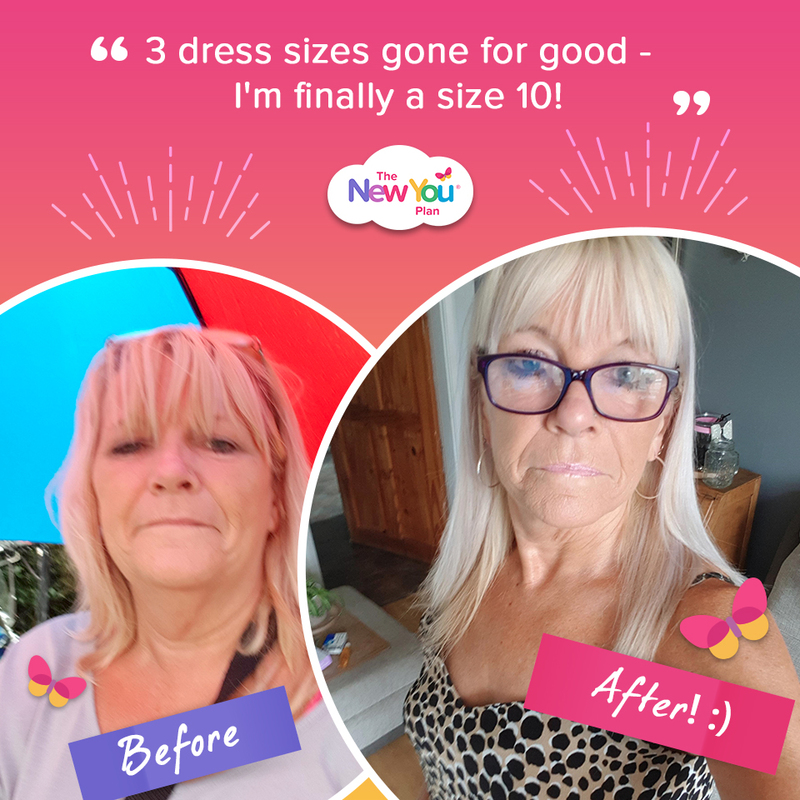 And being able to fasten a size 10 jacket was a wonderful feeling! Since losing weight, what is your happiest memory / proudest moment? Wearing a bikini top on holiday and not feeling fat, and telling people who I used to work with how much weight I had lost. People are always so impressed and pleased for me. Lots, but one stays in my mind – a young lady who really is not large said that she hoped to look as good as me the next time she sees me, which no one has ever said to me before. 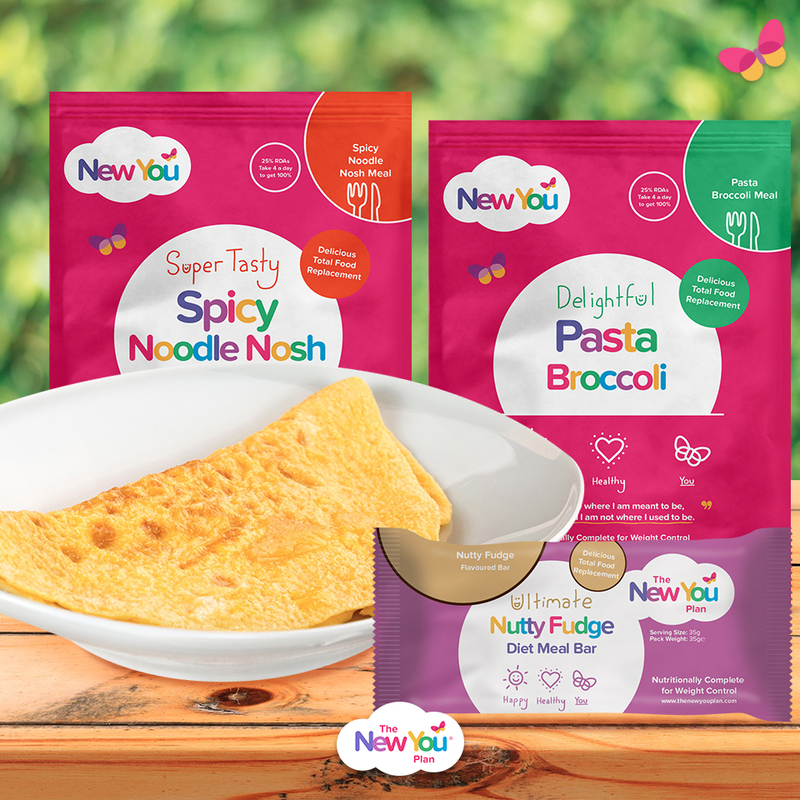 My favourite meals are Omelette, Vegetable Chilli, Spicy Noodle Nosh and Pasta Broccoli. When it comes to snacks, my favourites are the Peanut Bar and Cheese Tortilla Chips – yum! The variety of meals and snacks definitely makes this journey so much easier. Be prepared! Don’t think about what you cannot have but focus on what you CAN have. Keep in mind where you want to be and how you want to look. Realise that it is only you that can change you. Don’t let other’s actions interfere with your goals.